This product is available in Tatacliq, Snapdeal, Infibeam, Flipkart. At tatacliq.com you can purchase Sony Xperia X 4G Dual Sim 64 GB (Rose Gold) for only Rs. 24,990, which is 36% less than the cost in Flipkart (Rs. 38,990). 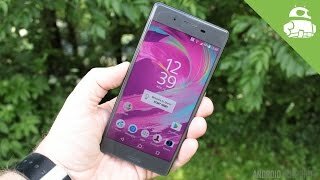 The lowest price of Sony Xperia X Dual Sim (Rose Gold, 64 GB) was obtained on April 2, 2019 2:22 pm. If you look at Instagram posts, you will see that the most shared pictures are often the hardest to capture. So be it a selfie, a photo of an exotic locale or a beachside shot, the smart camera is quicker, more responsive and helps you get the perfect shot. The Xperia X camera is designed to eliminate blur. Along with the Predictive Hybrid Autofocus that allows you to choose the subject and automatically track it even in motion, Smart Capture helps you keep the subject in focus and capture shots with sharp details. The high-resolution primary camera is fast and responsive and can go from standby to capture in less than 0.6 seconds, making it perfect to capture spontaneous moments. The quick start up along with the Hybrid Autofocus and fast image processing helps you capture everything around in a blink. Dinner dates often have a low-light ambience. But what if you want to take a selfie of that romantic moment? Simply use the X’s 13 MP front camera as it comes with low-light sensors that ensure you have a detailed selfie of the beautiful moment. The Xperia X fits your hand like a glove, making it quite comfortable to hold while you are making a call or texting someone. The curved glass edges of the 12.7 cm display add beauty to the overall look of this smartphone. Also, the phone has a tone-on-tone approach with the use of continuous colour on both the sides with even the lock screen in the same hue. Since you use your smartphone a lot, the design of this smartphone fits well with your style. The ergonomics have been well-thought out to ensure maximum usability. The intuitive side-placement of the power button along with fingerprint sensor and the near borderless display is what makes this phone stand out from the rest. By placing the sensor on the side of the phone, you can easily access your phone and unlock it in just one fluid movement. Do what you love without any interruptions as the 2620 mAh battery is designed to store enough juice for up to two days. So you can leave the charger at home while you are out doing what you love. The battery features Extended Standby Mode and Ultra Stamina Mode that enable you to get more juice out of the battery. Also, the Qnovo Adaptive Charging ensures battery health while charging. Even if you aren’t a music buff, you will still love the High-Resolution Audio feature on this Xperia. It encodes your favourite tracks and restores compressed files to ensure that your listening experience is truly detailed and just the way the artists wants you to hear these tracks. The Xperia X comes with Digital Noise Cancelling technology that allows you to pair your DNC headphones which reduce up to 98% of the exterior noise. So enjoy your favourite tracks in peace while on a commute. The Automatic Headphone Optimization is another feature that will leave you listening to more tracks as it analyses the headphone type and ear shape to deliver optimal sound just for you. Say you are in the cab or at a restaurant and a particular song comes on and you can’t quite place the tune. Launch the TrackID app installed on the phone to identify the song as well as the artist in a matter of a few seconds. You can access your PS4 console through this smartphone and play it from anywhere, be it the kitchen or balcony. You can lose yourself in games such as PES 2015 and Bloodborne as the Remote Play set up easy and quick. Simply download the Remote Play app, ensure that your PS4 and the phone is connected to your home WiFi and then game on. This 4G LTE phone features WiFi Miracast technology, Bluetooth 4.2 connectivity, NFC capability, Google Cast and is DLNA Certified. The phone comes with a Qualcomm Snapdragon 650 64-bit hexa-core processor, a 3 GB RAM and a 64 GB internal memory with an expandable memory option of up to 200 GB via microSD card. 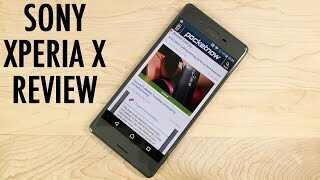 I have recently bought this phone from Amazon and I am really amazed with its performance. It is a real beauty with its extraordinary camera which can even beat the image quality of a DSLR. As far as price is concerned it is a bit expensive. The look is awesome and I am really happy with its expandable memory limit. 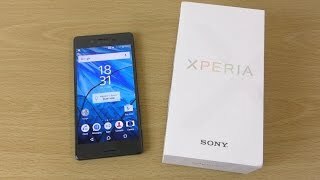 Sony xperia x-the x factor in mobile phones. First of all do not compare sony with any other brand not even samsung or apple letalone chinese brands. Agree that these chinese brands offer chipsets and phones at low cost but they do not have the soul (emotional value) as compared to sony.These brand cannot even come close to sony in multimedia capabililties.The sound through the headphone is theatre quality and treble is amazing and i am using just basic sony zx110 headphones. the natural colors this phones display produces,no other brand can do this and the x-reality engine upscaling is just fabulous…and talking about the camera quality,the color reproduction in the photos is awesome, same here no other brand can do this.